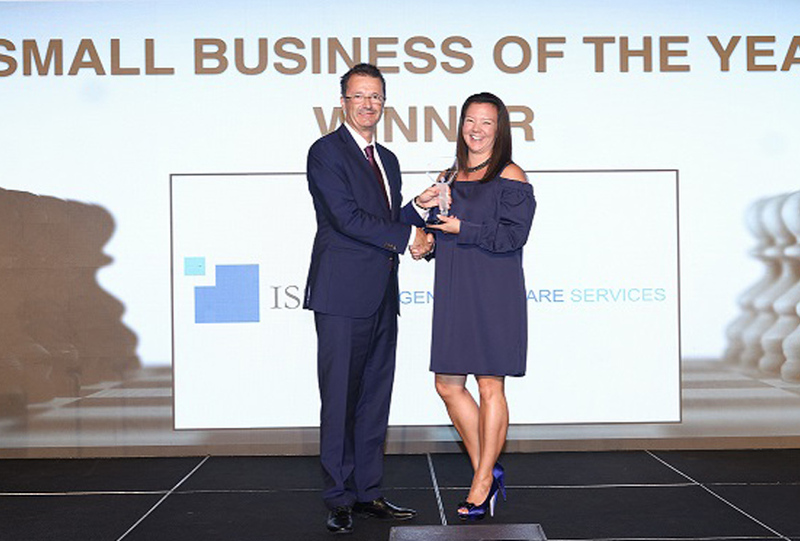 Marcos Bish, Managing Director of Summertown Interiors, was proud to present the Small Business of the Year award to ISS (Intelligent Software Services) at a glittering ceremony at the Gulf Capital SME awards on 11th October 2017 . As a previous winner of the Sustainable Business of the Year award in 2014, Summertown was again invited to join the diverse judging panel of business leaders for the 2017 awards. The Gulf Capital SME Awards hosted by MEED for the 6th year, continues to recognise SMEs in the UAE, and enables them to profile their products and services, and generate brand awareness.